Verint Recording for Public Safety provides Multimedia recording, speech analytics, eLearning and coaching, performance scorecards, forecasting and scheduling, and citizen surveys. Multimedia Recording and Quality Assurance — Verint Recording for Public Safety helps PSAPs meet requirements for compliance and evolving communications requirements, such as Next-Generation 9-1-1 (NG9-1-1). Workforce Optimization — Verint incorporates the multimedia recording and quality assurance functionality of Verint Recording for Public Safety with forecasting and scheduling, incident investigation and analytics, speech analytics, performance management, eLearning, and coaching functionality. Situation Management — Verint’s Situation Management Center (SMC) is a comprehensive software solution that provides capabilities for the various phases of situation management, including real-time situation awareness, efficient response and notification, investigation and debriefing, planning and compliance, and preventive intelligence. Communications and Cyber Intelligence Solutions — This portfolio of solutions helps law enforcement officials detect, investigate, and neutralize crime. Verint solutions for public safety enable emergency services, law enforcement agencies, government institutions, airports and seaports, and other organizations to capture, analyze, and act quickly on large amounts of information from disparate systems and sources. Discover how organizations around the world rely on Verint public safety solutions to help them address a broad range of challenges. Explore Verint’s public safety software and services to learn more about how we can help your organization. 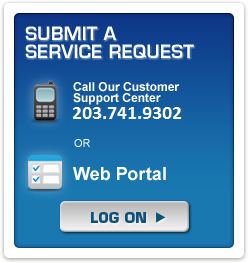 If you’d rather discuss our solutions with a BEI representative, we invite you to contact us.